Who said abandoned places are “dead”? You could never be wrong if you think that’s true! 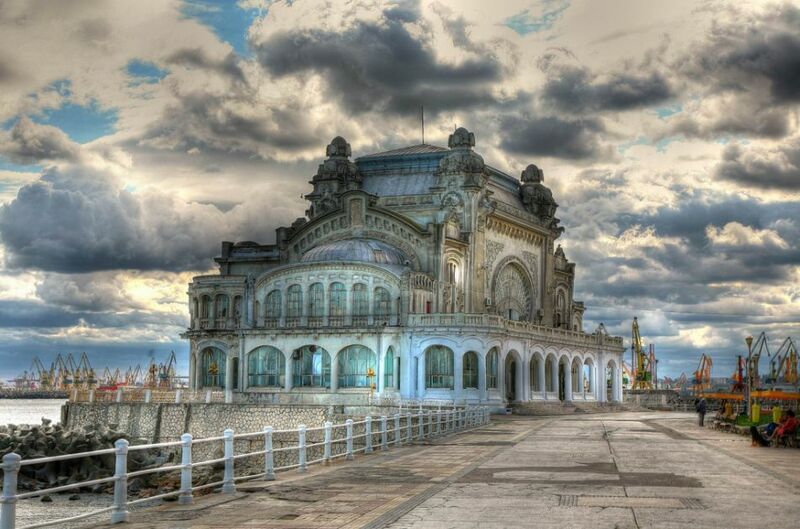 We’re going to provide you a list of some very popular destination among creepy places lovers. Although they’re not populated by their original inhabitants anymore, these sites are definitely notable for their cultural impact over the lands they cover. They might be weird, they might be scary, but also amazingly beautiful in their unique way. Furthermore, they have historical value, representing fragments of our anthropological evolution. 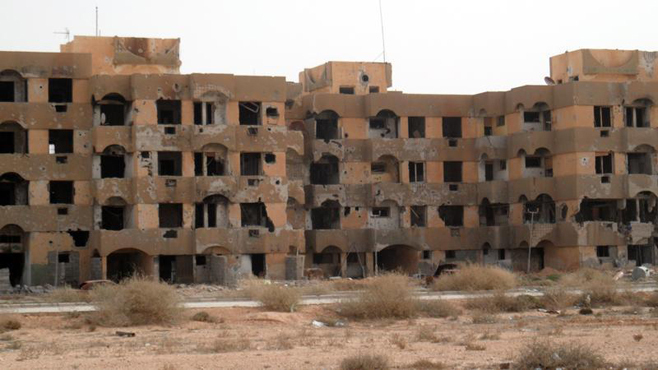 This is the only place on the list that was actually cleared of its population by militias, being the site of very intense fighting scenes during the Libyan civil war of 2011-2012. Its name derives from the Berber language, meaning “the green island”. It’s definitely not so green right now, but we thought that putting it on this list might bring some awareness to our readers, regarding the nasty consequences of wars. Officially known as Kadylon, this used to be a leper colony. Arab raiders, Venetian explorers and ottoman Turks fought over the city for centuries. 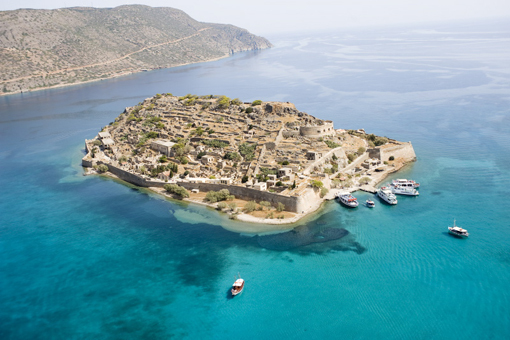 The last inhabitant of Spinalonga was a priest, which left the island in 1962. The abandoned lazaretto and the fortress make of this location a popular tourist attraction nowadays. It also appeared in many movies and TV series. Founded by Etruscans more than 2,500 years ago, the population went down to just 6 members during the 20th century. This is also birthplace of Saint Bonaventure, who lived during the 13th century. Known as "the town that is dying", it was abandoned due to rock erosions that made life there unsafe. 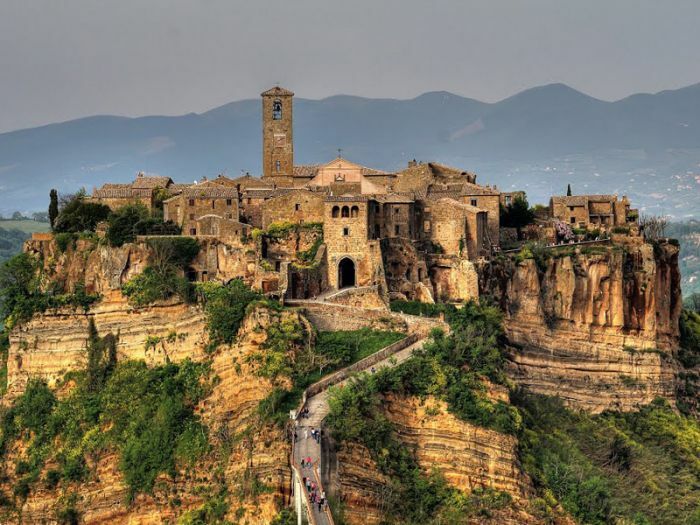 It’s only recently that the city started reviving thanks to tourists, attracted by the city’s striking position atop a plateau of friable volcanic tuff. A ghost town regarded as a National Historic Landmark and receiving more than 200 000 visitors per year. “Protecting Bodie's Future by Preserving Its Past” is the tagline of the foundation administering the site. It had its boom as a mining camp during the 18th century. Murders, shootouts and stagecoach holdups slowly led this town to decline, till the point of total abandonment. 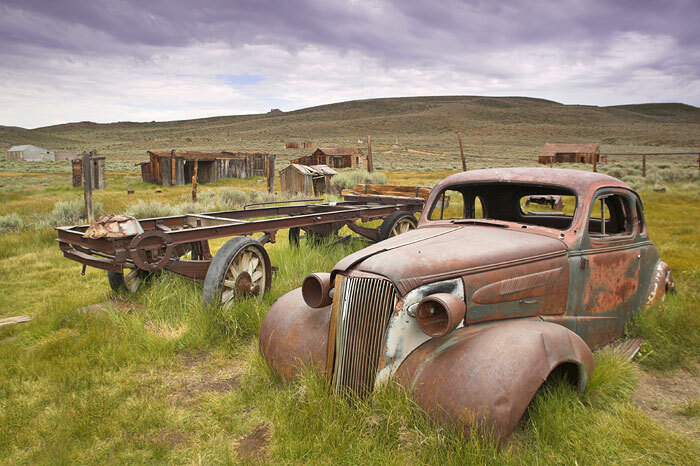 Nowadays, Bodie is an authentic Wild West ghost town. 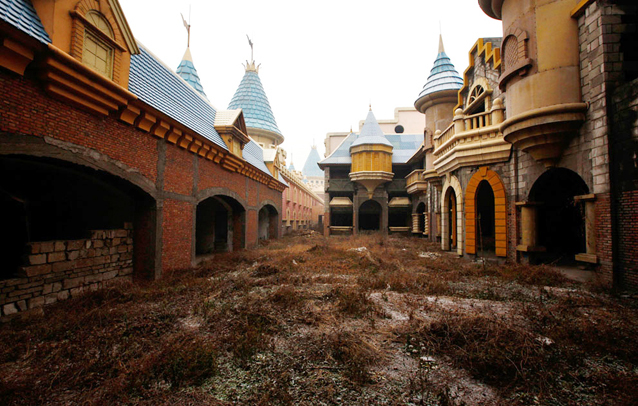 China Dreamed to be the largest amusement park in Asia, its construction stopped due to financial problems and the park never had a chance to glory. The medieval-themed abandoned buildings are now surrounded by farming lands reclaimed by the locals. 120 acres of dead walls. Impressive, creepy demolition site. 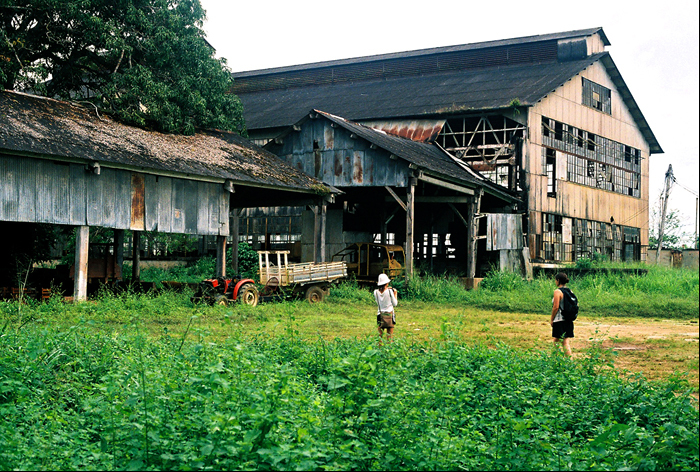 This ghost town used to be a prefabricated industrial town established in the Amazon Rainforest by Henry Ford, to secure a source of rubber for his automobile company. He tried to construct a northern American styled city, imposing the inhabitants to wear identity badges and eating from fast-foods, while also making them work in inhumane conditions. It was, of course, a total failure. This used to be one of the leading industrial centres of the Russian Poland during the last century. Now it just looks like a steampunk artwork depicting a post-apocalyptic scene. 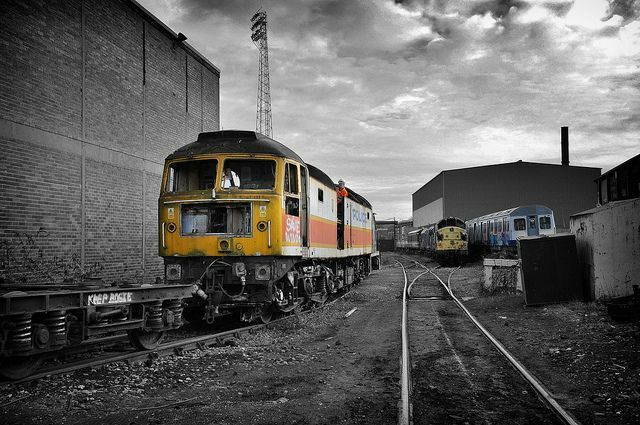 Vandalized trains arise from overgrown yards over the rusty railways, teleporting you into a dark atmosphere. 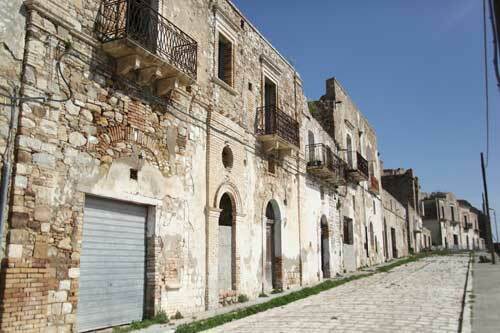 A popular filming location, the ghost town located in the Province of Matera was abandoned due to natural disasters. Craco is now a very famous tourist attraction and has been added to the watch list of the World Monuments Fund. Built on a steep summit, it appearance will surely strike you, in contrast with the surrounding soft-shaped land. You’ll feel like going back to the future when hitting this place. 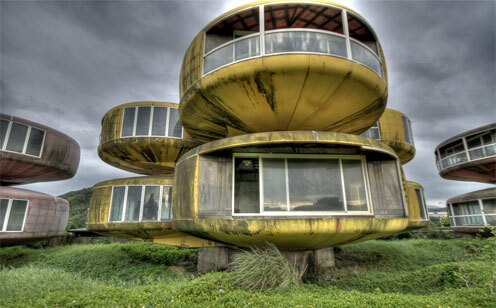 The UFO houses were intended as a futuristic vacation resort, but the project never saw its opening day to the public, because of several accidents during construction phase, not to mention various suicides. It’s also regarded as one of the most known haunted places on Earth. The town was founded on February 4th 1970, as the ninth nuclear city in the Soviet Union. 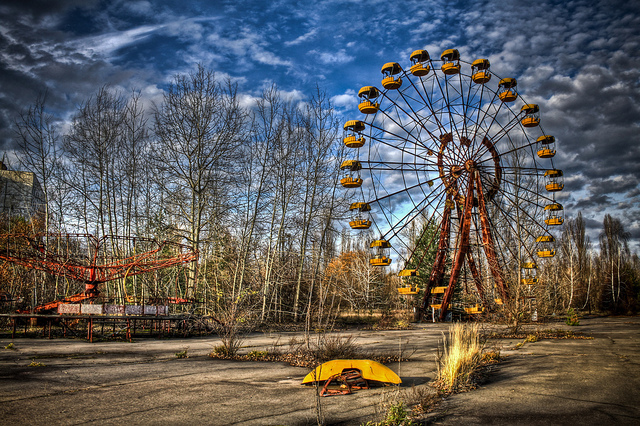 In less than ten years it reached a population of around 50 thousand members, just to be abandoned a few days after the 1986 Chernobyl disaster. It represents a vandalised and ransacked “peaceful atom” of Soviet engineering, relatively safe to visit.